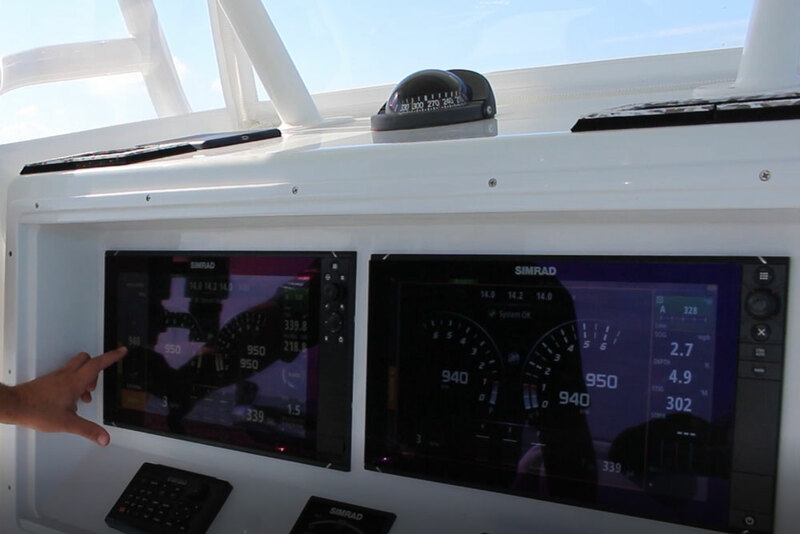 Simrad incorporates digital switching and complete boat control integration into their MFDs with the NaviOP system. 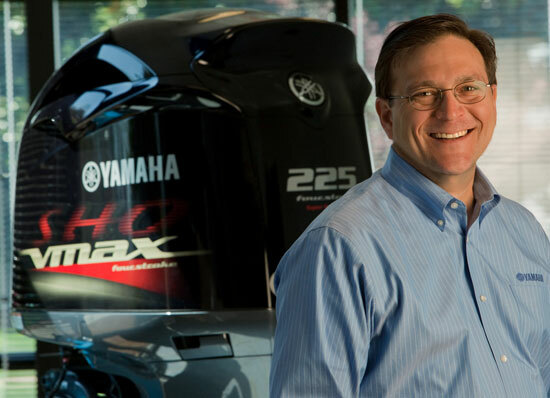 Digital switching is making serious inroads in modern boats, and it’s no wonder why—being able to integrate marine electronics with the boat’s mechanical systems gives you complete control from the MFD at your helm, and greatly simplifies the boat’s construction, wiring, and ease of use. 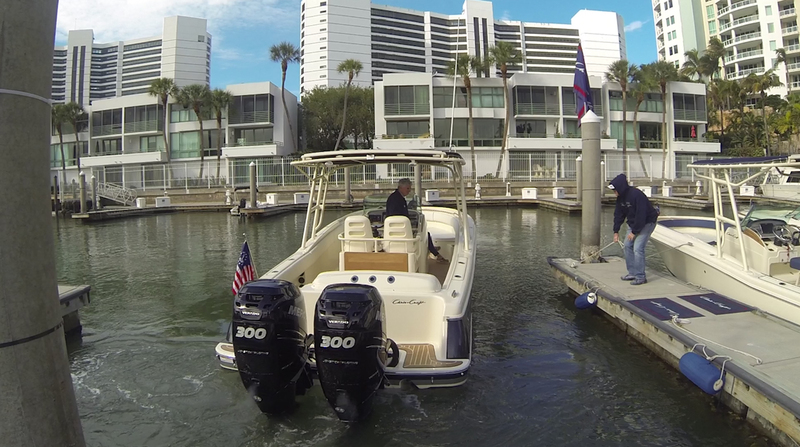 We had the opportunity to check out one of the first boats rigged for Simrad and NaviOP cooperation, a Yellowfin 36, before this system had even hit the market. Want to get a sneak peek at NaviOP? Check out this short video. Along with the touch-screen ease of use you saw, digital switching has a number of advantages over old analog systems. 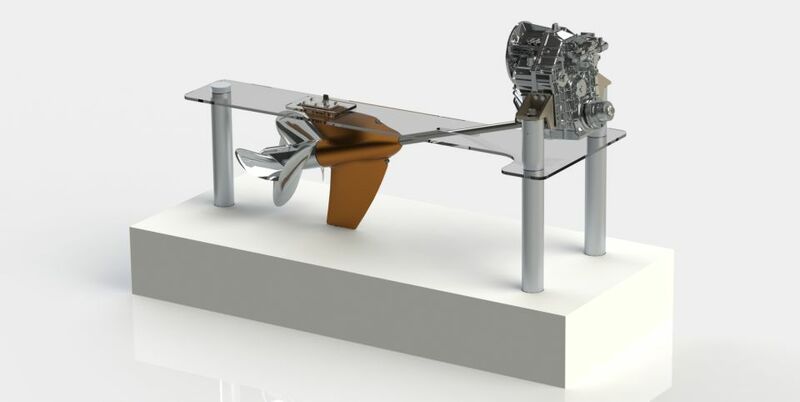 Boat builders can shave off some weight, by eliminating excess wiring. 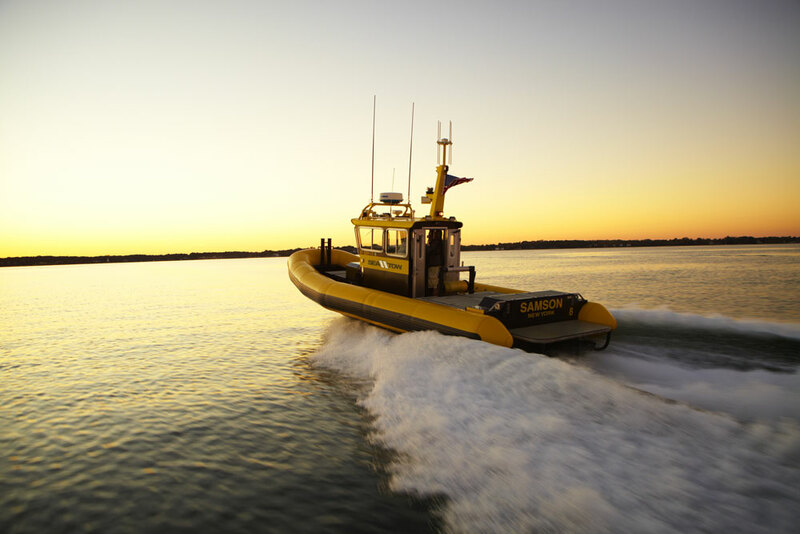 Their construction process is simplified, which translates into less man-hours per boat built, which reduces cost. Fewer holes have to be cut into the helm, to accommodate switch panels. 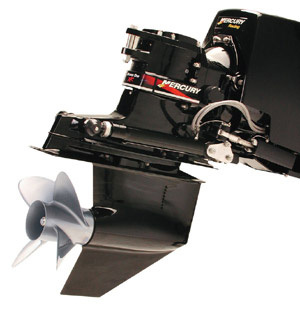 But perhaps most important to you and us—the boaters—is a significant reliability boost. Yes, we said reliability. 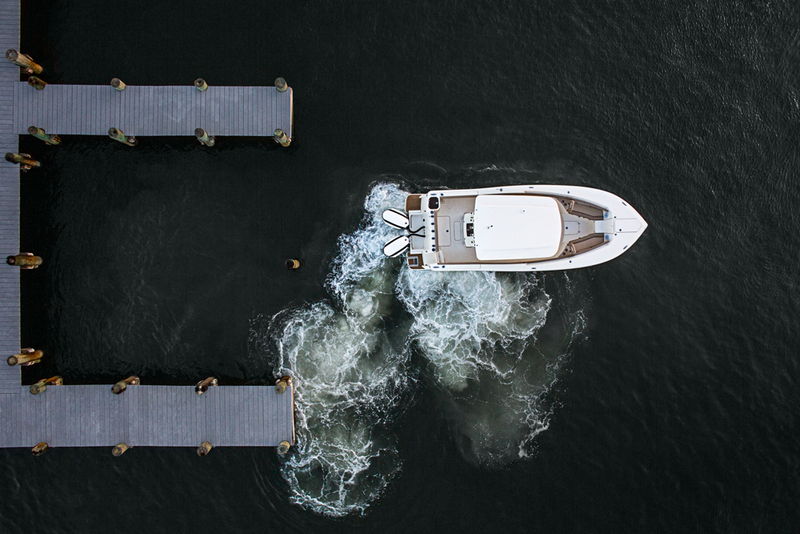 The biggest hurdle to getting boaters to accept digital switching is the fear that a software glitch or system failure will make it impossible to operate the boat. Yet in reality, reliability is better than it is with old-fashioned toggle switches and wires. To anyone who has any doubt, we’d like to ask one simple question: have you ever had a mechanical switch on your boat fail? Have you ever had a jiggly connection or a corroded contact make it impossible to use an accessory? Have you ever toggled back and forth, but nothing happened? Unless you’re extremely new to boats, the answer is surely yes. And the fact of the matter is that digital switching, properly designed and installed into a boat, will fail a whole lot less often than the old systems do. Oh, and by the way, just in case there is some sort of glitch there are still back-up switches for critical systems. Sure, we’d agree that putting all this technology into boats seems a bit strange and new-fangled. After all, we now have WiFi on boats, we have CHIRP fishfinders for under $500, and we have navigational apps that let us literally navigate vie cell phone. Pretty soon, we’ll merely step aboard the boat and say “Mom’s Mink, take me to the fuel dock.” But that’s not a bad thing. Safety, ease of use, and reliability all get a boost from these sorts of technologies. And digital switching with a system like NaviOP is one big step in the right direction. For more information, visit NaviOP. 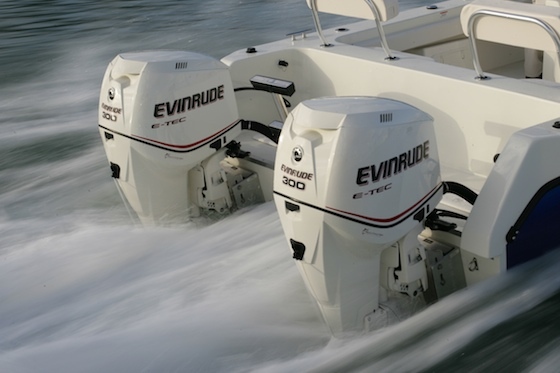 Evinrude: Digital Control System for Miami Show?